Hello, everyone. I’m sure you’ve heard the term Ponzi scheme before. You might not be exactly sure what it is. A Ponzi scheme is a fraudulent investment operation where the person or organization pays returns to its investors from new capital paid to the operators by new investors, rather than from money earned from legitimate sources. Operators of Ponzi schemes tend to attract new investors by offering better returns than other investments. They are usually in the form of short-term returns that are either very high or unusually consistent. Ponzi schemes are named after Charles Ponzi. He didn’t invent the scam, but his scheme was so large that his name has been associated with them ever since. He told his clients that he’d get them a 50% profit within 45 days or 100% profit within 90 days, by purchasing a postal coupon on different countries and redeeming them at face value in the US. Unfortunately, that’s not what Ponzi was doing. He was paying early investors with money from newer investors. His scheme ran for a little longer than one year. He cost his client’s 420 million. Sometimes Ponzi schemes can start out as legitimate businesses until the business fails to achieve the returns expected. The business will be considered a Ponzi scheme if it continues to make money by doing the fraudulent activities. 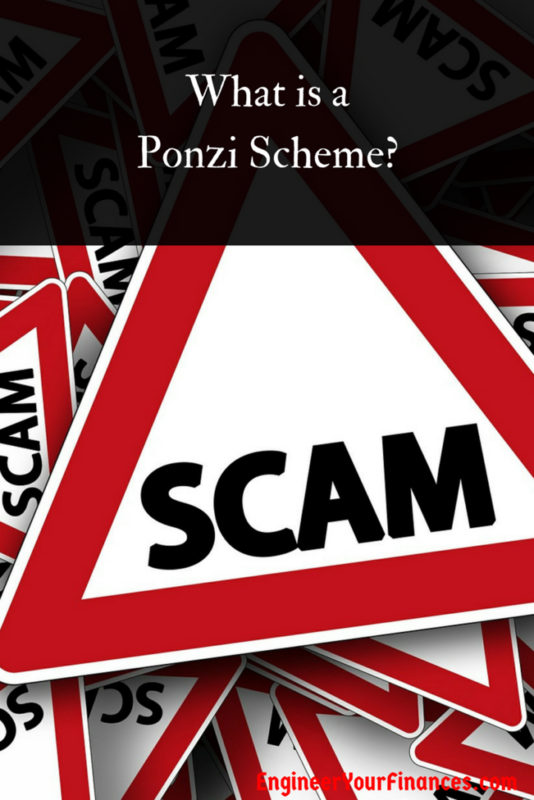 There are typically four ways that a Ponzi scheme can all apart. The first reason a Ponzi scheme can fall apart is if the person that is running it disappears and takes all the money with them. If he or she is gone, the money pot will become dry, and there will be a lot of folks out of money. The second reason why a Ponzi scheme can fall apart is external forces. One such force can be a decline in the economy. That can cause investors to remove their money from the “investment.” During times when the economy is bad, people are less confident when it comes to investing. The third reason is since the scheme requires a continuous flow of investment money to fund the returns, it will slow down or collapse if the promoter starts having problems paying the returns. That has happened with several Ponzi schemes over the years. Not having enough funds will trigger panic because the promoter will not have sufficient funds to pay the investors. The final reason that a Ponzi scheme will fall apart is that the authorities will break it up. If something does look right and there is a lot of money involved, law enforcement will take a look at it. There have been several large Ponzi schemes over the years. Below are two popular ones. Madoff was a stockbroker and financial advisor. He stole over $50 billion during his scheme. His scheme was the longest running Ponzi scheme in history. He has been conning people since the 1970s.